Buy now pay later Australia! Say goodbye to your credit card, because zipPay is here - the simple and secure interest free payment option! As one of Australia's authorised zipPay stores, Retravision lets you use zipPay to shop now and pay later. This lets you buy what you want today, and then pay off your purchases in flexible weekly, fortnightly or monthly instalments - all with no interest! zipPay pays on your behalf! You pay zipPay back over time in easy weekly or monthly payments. Why do people love zipPay? How do I sign up for zipPay? As long as you are over 18, and an Australian citizen or permanent resident, all you need is a Facebook or Paypal account. There's no waiting - your zipPay account will be approved in seconds! How do I keep track of my zipPay? 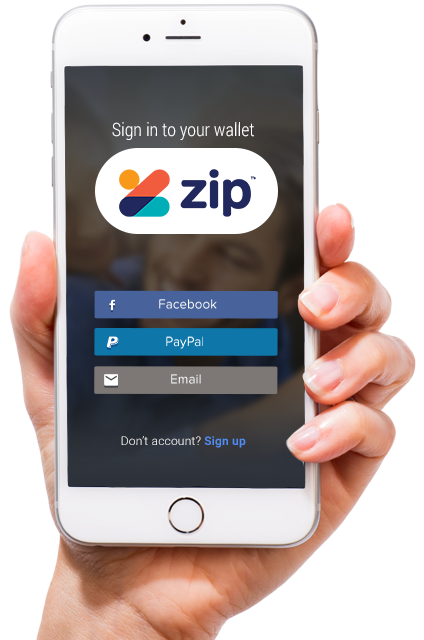 Log into your zipPay Digital wallet. I want to pay off my zipPay purchases - how do I do this? You can set up automatic repayments (the minimum repayment is $40 a month). You can log in to zipPay and direct debit a payment at any time. Online payments can be made via debit card, credit card or BPay. 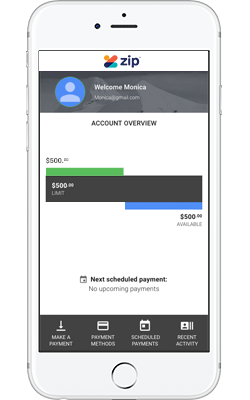 Remember, if you repay your balance in full within 30 days, the $6 monthly account service fee is waived. Can I find out more about zipPay? You sure can. zipPay can answer any questions you may have over the phone. Simply give them a call on (02) 8294 2345.